Queen Elizabeth has always dressed for diplomatic success. Colours, designs and jewelry are all chosen to send just the right flattering message to her hosts. Nahlah Ayed looks back at some of the Queen's most notable sartorial successes. 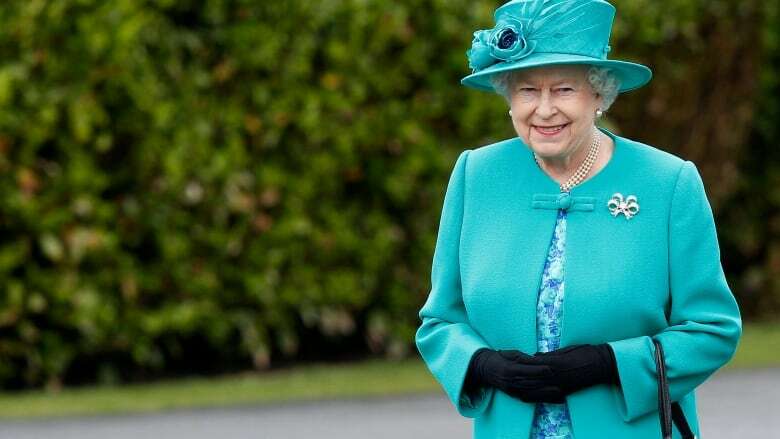 If you're one of those people who take note of what Queen Elizabeth wears — or if you're someone who tracks international diplomacy very closely — you might remember that dazzling emerald green outfit she wore in 2011 as she stepped out of a plane in Dublin, Ireland. It was an unambiguously warm nod to a neighbour with whom the U.K. has had a lot of bad blood — as powerful a message as actually making the trip. Watch The Queen at 90, our live special coverage of the Queen's official birthday parade, airing at 5 am ET Saturday on CBC TV, CBC News Network and CBCNews.ca. What you may not remember as clearly is that the emerald green was just the beginning. Her sartorial charm offensive also included a striking white dress adorned with 2,091 hand-sewn silk shamrocks. Longtime royal photographer, the Sun's Arthur Edwards, was there and remembers the dress and the reaction clearly: combined with the Gaelic words she spoke during the state dinner — and finished with a crystal Irish harp brooch made especially for the occasion — it was foreign relations gold. "The reception she got was fantastic — none more so than by the president of Ireland," Edwards said in an interview. "I promise you I've never been more moved in my life." It's the kind of soft power the British Foreign Office coveted, which is why the Queen was often on the road, especially early in her reign. Over 90 years, 63 as Queen, she has been to 117 countries, and around the world about 42 times. With no actual political power, the Queen and her wardrobe were deployed as a subtle force for forging ties abroad. "It was a context where British power was rapidly declining … and Britain wasn't sure it was going to have the same influence in the world," said Daniel Conway, a politics and international relations lecturer at the University of Westminster who has studied the Queen's diplomatic dressing. "They had a young glamorous monarch, [and] I think they realized this was something that could project Britishness and British power in a way that Britain couldn't really do so itself," he said. "In the modern era, dress in particular has been used by the British monarchy as part of British foreign policy." In a show of unity, her coronation dress, made by royal designer Norman Hartnell, was embroidered with the emblems of the U.K. nations, and of every dominion in the Commonwealth. What followed was a long line of meticulously thought-out dresses and gowns with flattery woven right in. Early on, they were made mostly by royal designers Norman Hartnell and Hardy Amies. The Queen's purse: just what does she keep in there? In 1960, for example, Thailand's king presented the Queen with the country's highest order of chivalry. When the Queen attended a state dinner in Bangkok in 1972, she wore a Hartnell dress designed specifically to match the yellow sash and insignia she was gifted twelve years earlier — a gesture that was as eloquent as any speech. In 1986, she became the first British monarch to visit China, and dined with leader Deng Xiaoping in a dress adorned with China's national flower. And with the Reagans in 1983, she wore a colourful compliment in the form of California poppies, almost as important as her verbal thanks to the U.S. for helping in the Falkland Islands war a year earlier. 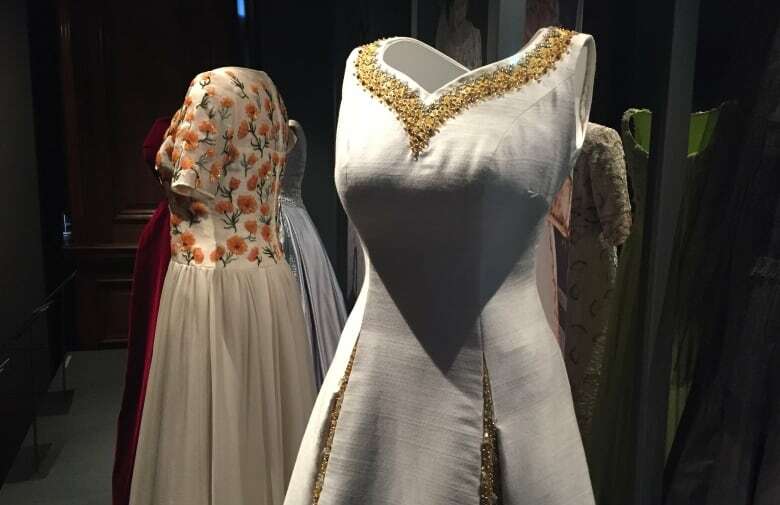 That dress and several others have been on display at Palace of Holyroodhouse, her Scottish palace in Edinburgh, since her birthday on April 21. Even without the Queen, the dresses are on a diplomatic mission of their own. "It's been very crowded," said Deborah Clarke, a royal collection curator. It was a similar display at Buckingham Palace for her 80th birthday in 2006 that compelled Conway, a politics graduate, to research the Queen's fashion. He noticed she often wore gold (yellow) and green when visiting Africa — colours that appeared in many African flags after independence from colonial rule, including that of Britain. He says the dividends of dressing for diplomacy in modern times were first noticed when the Queen Mother was on a trip to France in 1938. Just before the trip, her own mother died. The Foreign Office and Buckingham Palace were very concerned that wearing black would send the wrong message at a time when Britain wanted to show solidarity with France in the face of a hostile Germany. So the Queen Mother ordered a whole new wardrobe — all in white, which she decided would be a colour of mourning. She and her wardrobe were the talk of Paris — and Berlin. "I looked in the archives, and the Foreign Office was very attuned to what the media in France and Germany was saying about the Queen Mother's dresses," Conway said. "And I think from then on, the Queen's wardrobe became sort of part of the diplomatic planning of the [state] visit and part of the visit itself." In 1957, Queen Elizabeth wore a green and white Maple Leaf dress, a deft diplomatic Hartnell creation for a state banquet in Ottawa. It worked like a charm. The emerald-encrusted leaves won her big headlines despite a major flood in Spain and the Nobel Peace Prize awarded to Opposition Leader Lester B. Pearson for his own diplomatic efforts during the Suez Crisis. 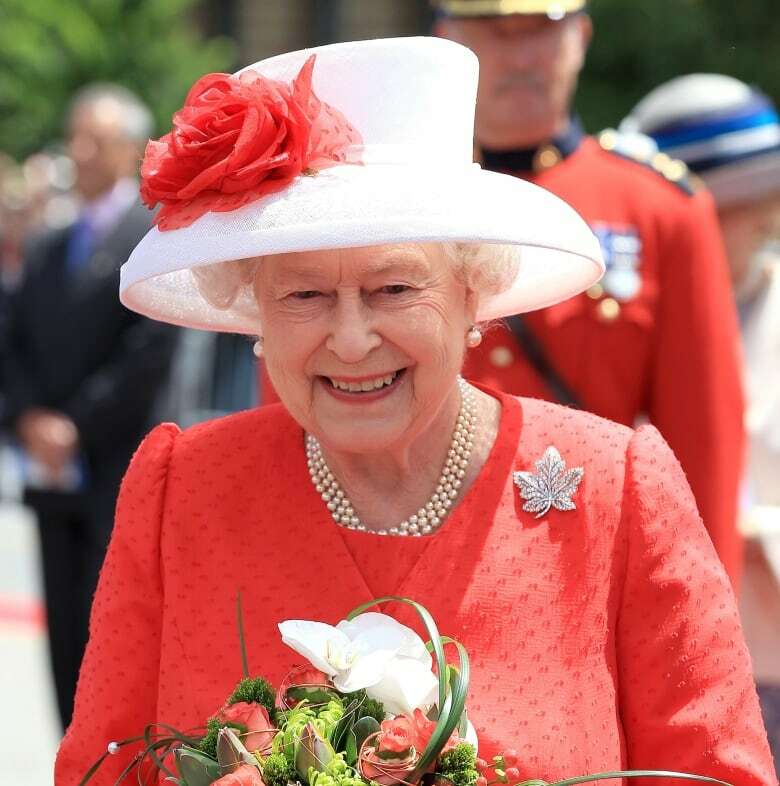 The Queen has worn many fashionable nods to Canadians during her 22 visits. But it was also in Canada where the Queen's clothes once made the wrong kind of headlines. That happened in 1984, 2½ years after Canada patriated its Constitution. Unimpressed with her clothing, a Toronto paper called her dowdy. Another said she looked tired, that her legs had visible veins. It unleashed a Canada-thrashing in the British tabloids. The palace was not amused. 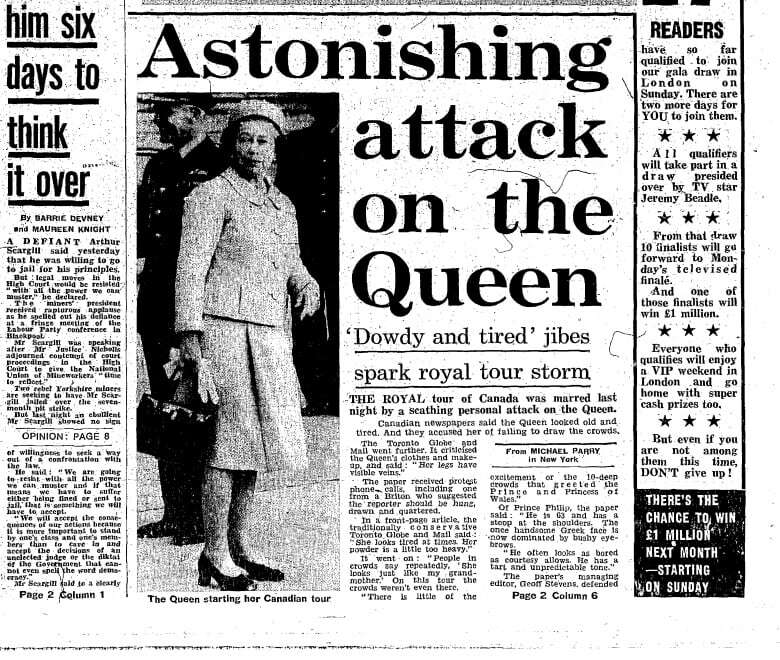 The British tabloids didn't appreciate it when Toronto newspapers criticized the Queen's appearance during her visit in 1984. "It was interesting that the notion that talking negatively about what the Queen was wearing could damage the state visit itself," Conway says. "So I think that's also a sign of the power of what the Queen was wearing." Of course, like other women in the public sphere, the Queen often endured far more judgment based on her appearance than a man might in her position. She also had to skirt traditions more carefully. In Turkey, for example, she visited a mosque wearing a scarf to cover her hair and small white socks to cover her feet. And though a queen only wears black for mourning, she followed papal protocol and wore black, including a veil, to see to see Pope John Paul in 1980. As head of the Church of England, she helped smooth relations with the Vatican. Thirty-four years later, Pope Francis waived the requirement when the Queen's tight schedule didn't allow her time to change. "[The Pope] said, 'No, no, no. Tell her to come as she is. I just want to see her!'" photographer Arthur Edwards said of the meeting in Italy in 2014. "So the Queen turned up in the most beautiful [lilac] dress and hat … and they got along like a house on fire." A British columnist called it a "surprise win for women." By many accounts, the Queen isn't much into fashion, but plays a decisive role in choosing what she wears at home and abroad. In Scotland, she often incorporates some tartan — as she did for the opening of the Scottish Parliament in 1999 — which the royals long ago adopted as an inclusive gesture. At 90, the most travelled monarch in history now stays closer to home. Her work clothes are much more like a uniform: simpler, more consistent and often bright … to make sure the home crowds can spot her. 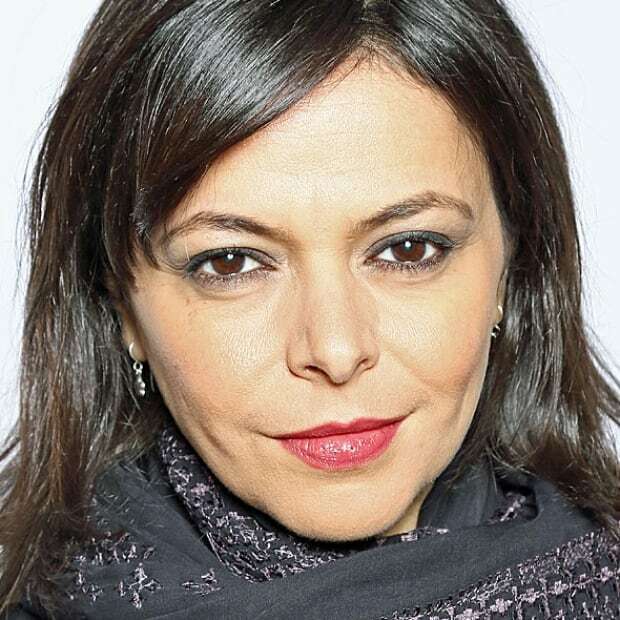 Nahlah Ayed is a CBC News correspondent based in London. A veteran of foreign reportage, she's covered major world events and spent nearly a decade working in and covering conflicts across the Middle East. Earlier, Ayed was a parliamentary reporter for The Canadian Press.